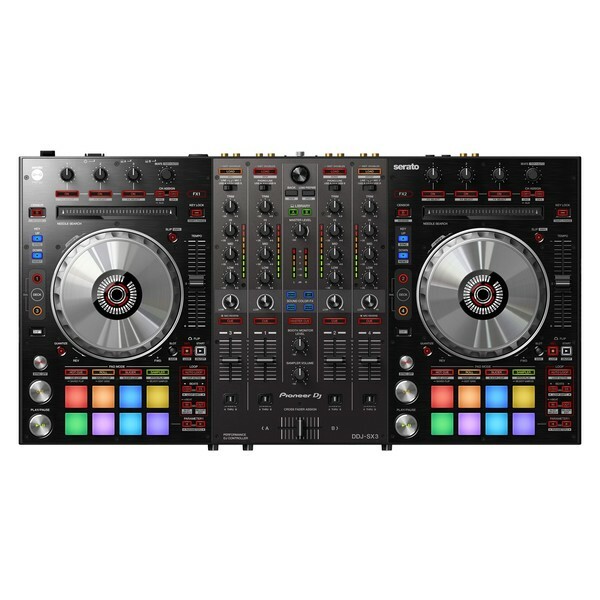 The Pioneer DDJ-SX3 DJ Controller is an upgrade from the highly popular DDJ-SX2, sporting a range of new features including dual USB ports for seamless DJ switching, new Sound Color FX, key shift/sync buttons, expanded connectivity, as well as a dedicated mic terminal for controlling the level, EQs, and FX of all three mics independently. DDJ-SX3 gets you making smooth transitions and mixes at any event from clubs, parties, weddings and even corporate events. Sporting 4 deck switching, RBG remix pads, needle search and an integrated looper, the Pioneer DDJ-SX3 is versatile, ideal for any professional mobile DJ. 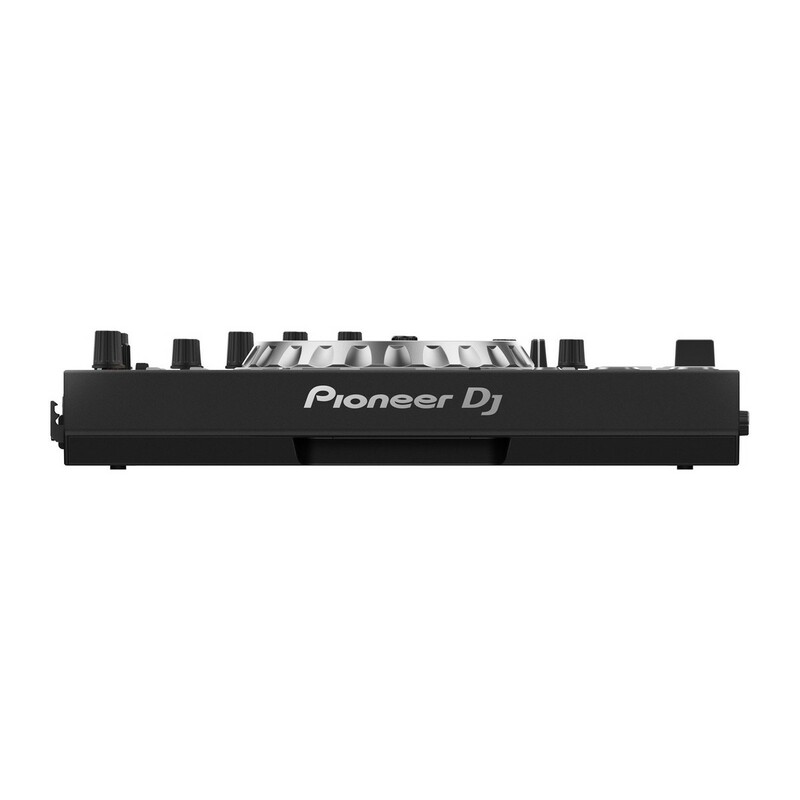 The Pioneer DDJ-SX3 is now also available in bundle form, complete with a Decksaver cover to keep your protected on the move. 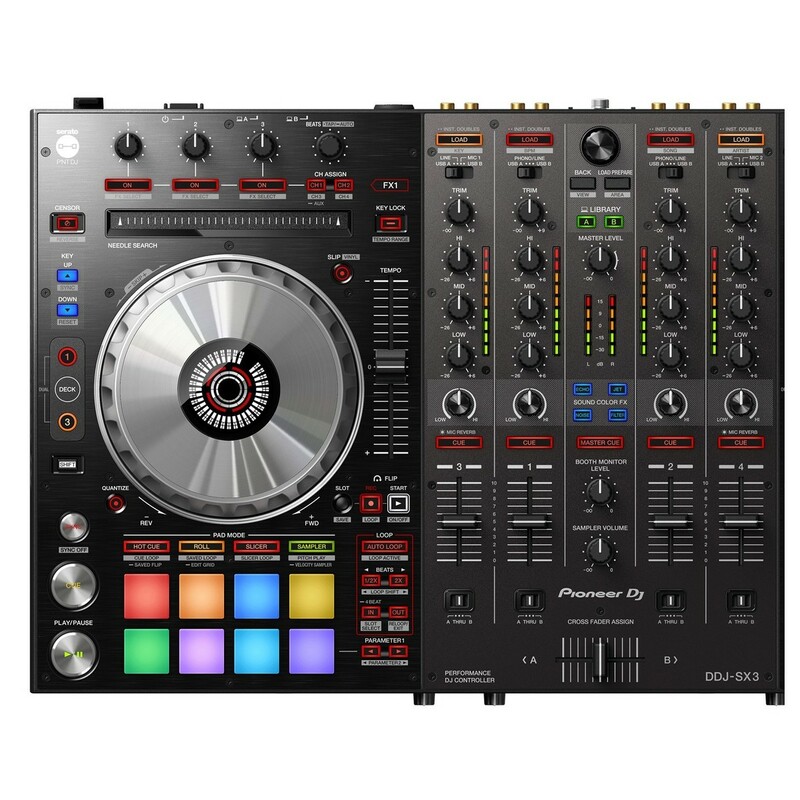 To learn more about the product please visit the Pioneer DDJ-SX3 DJ Controller with Decksaver Cover product page. Add some spice to your vocals with the DDJ-SX3's dedicated mic terminal, allowing you to connect up to 3 different microphones through the DDJ-SX3 DJ Controller and control all their levels, EQS and FX. With each microphone you can control everything from volume, EQ, low-cut filter, or even add reverb and compression to each, allowing you to adjust their sound to the venue and situation you’re in. Take your mixes to the next level and get extra creative with the new Sound Color FX, letting you add the popular Filter, Echo, Jet, and Noise FX to your tracks. Use Echo to add some excitement to your build-ups, or filter out tracks for smooth transitions, or even add a noise build up before a drop. 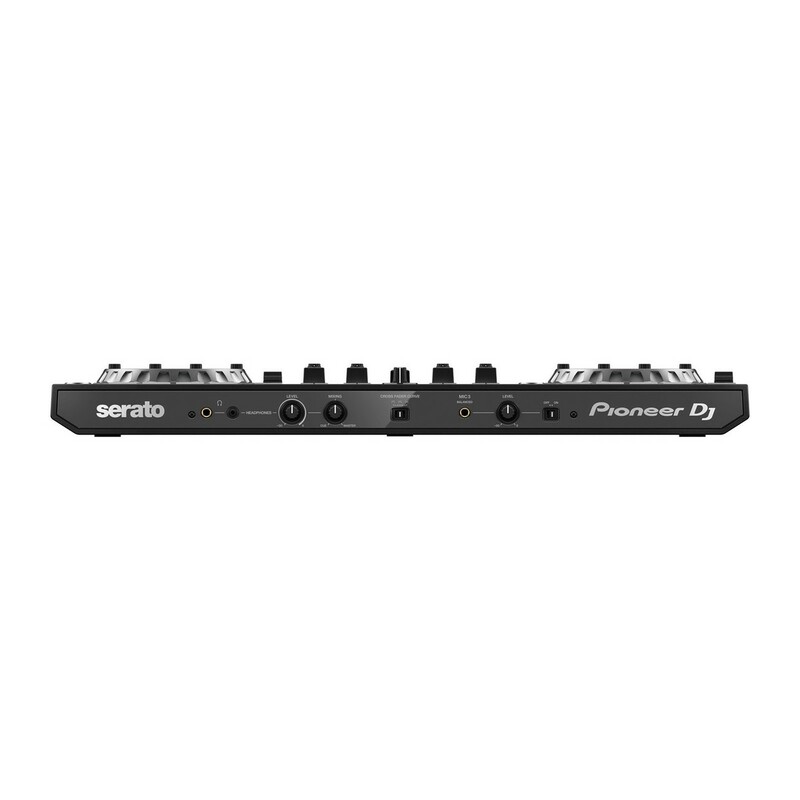 Additionally, you can also use the Serato Pro DJ software FX over MIC channels 1 and 2. Trigger your Hot Cues, Samples, Pitch Play and remix live with the multicoloured performance pads to create a unique performance. The advanced key-related features let you mix harmonically, allowing you to get tracks in matching keys to get perfect, smooth mixes. We've all had that moment where the next DJ is ready to play but there's no way for them to jump on next without needing to completely cut off the music and kill the vibe. With the DDJ-SX3 you'll never have to worry about that again. 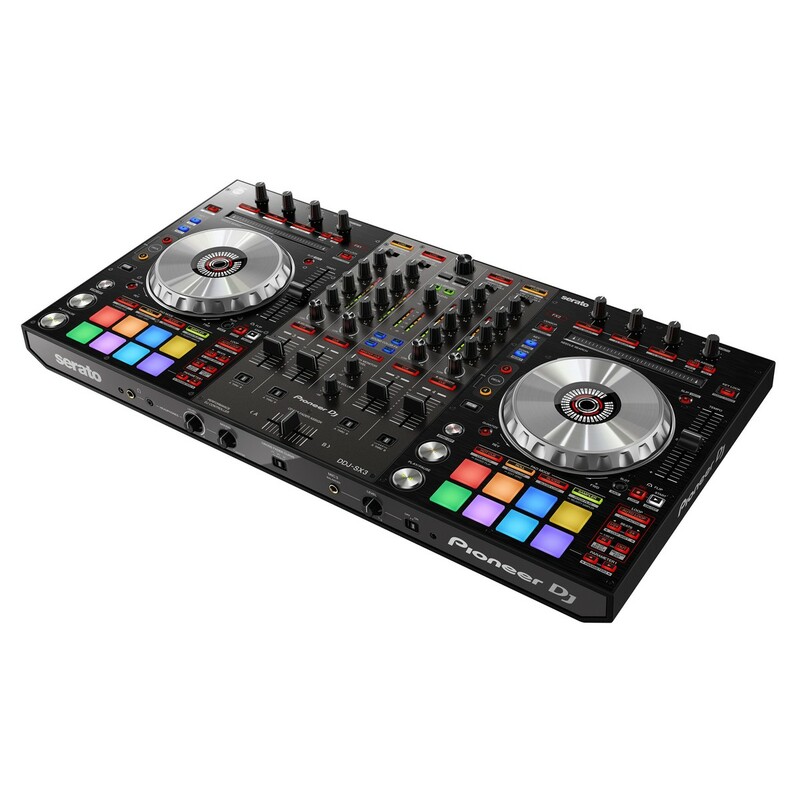 DDJ-SX3's dual USB ports lets you connect two laptops for seamless DJ transitions, or use them for back-to-back performances. You could even connect a backup laptop just in case your primary laptop crashes. The DDJ-SX3 still features the much loved needle search pad, allowing you to instantly jump through tracks with your finger. Slip mode keeps your track playing silently under whilst you are looping, sampling, or playing with the Hot Cues. This allows you to mashup or even loop tracks and when you are done, the track will come back exactly to where it was playing. 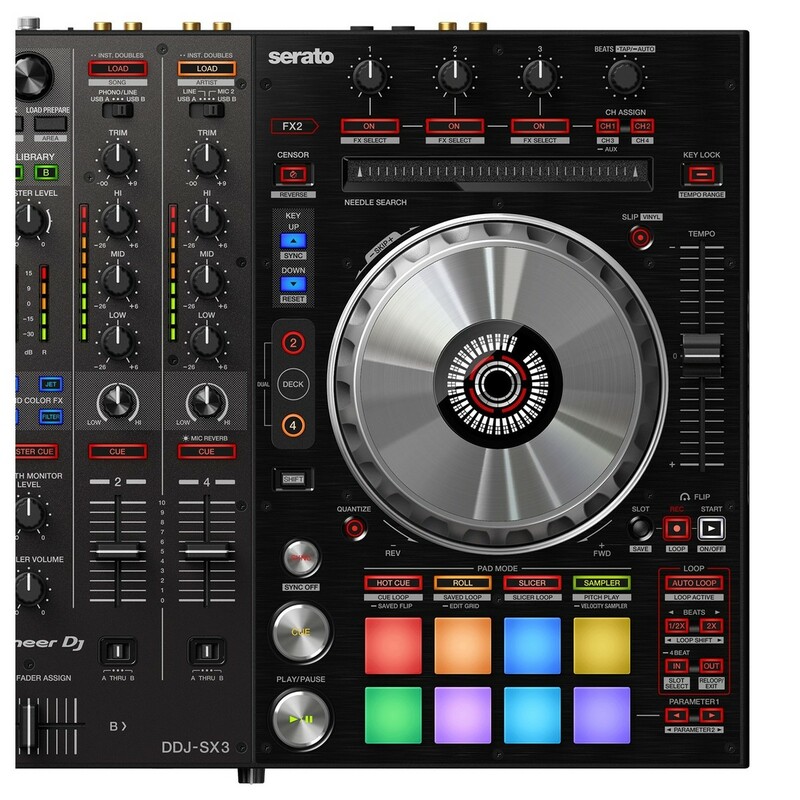 The DDJ-SX3 offers a clear visual interface design that lets you intuitively use all of Serato Pro DJ's features. Every great DJ creates their own edits/version of tracks to make their performances unique and memorable. Serato Flip allows you to create and save Hot Cue sequences to make your own custom-edits of tracks. You can use the dedicated Serato Flip controls to play them back easily, allowing you to get creative by skipping or repeating parts of tracks, making your performances even more unique. Serato Pitch 'N' Time is also bundled with the DDJ-SX3, allowing you to use the Key Shift, Key Sync, Pitch Play and other features to harmonically mix. Key Shift lets you tweak the key of tracks by semitones, whilst Key Shift syncs the keys of tracks together to get a smoother mix without clashing. Pitch Play lets you mash-up on the fly. This assigns your Hot Cues in a range of different keys so you can play them like a keyboard on the Performance Pads. The DDJ-SX3 lets you connect with external multi players, turntables, DJ controllers, speakers and more. Connect to various speakers in clubs or parties with the XLR and RCA terminals, booth monitor mix with the TRS jack booth, or even use the DDJ-SX3 as a stand-alone mixer without needing to connect a computer, letting you use analogue turntable with the controller's mixer section.